Exhibited at Art Haven in Exeter in 2001. 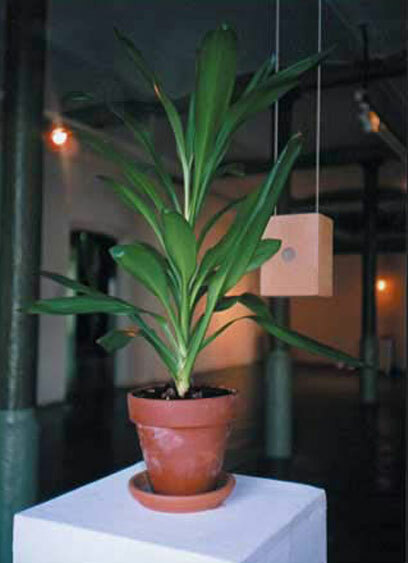 The speaker plays cosmic self-development exercises to the houseplant 24 hours a day. Throughout the course of the exhibition, the foliage grew significantly.